The Oxford Bus Company has increased the size of its on-demand ride-sharing minibus service, PickMeUp, expanding the fleet by two vehicles due to increased demand. 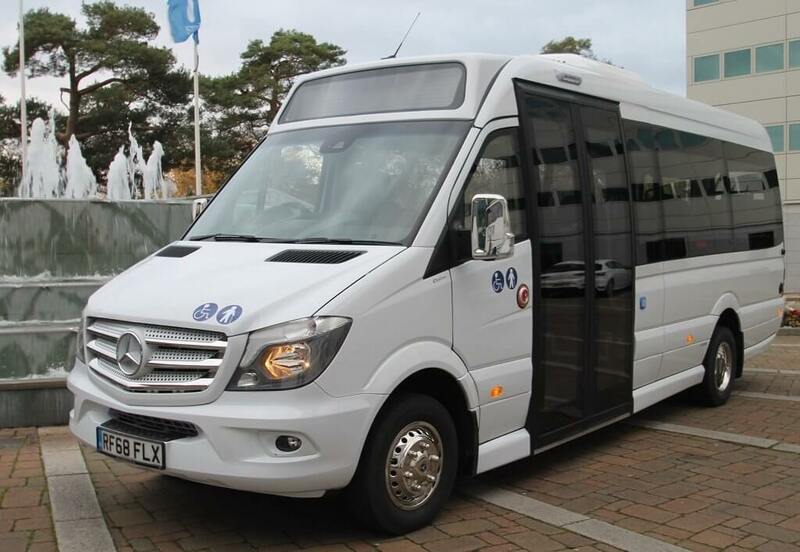 Two 15-seater EVM City Low Floor-bodied, extra-long wheelbase Mercedes-Benz Sprinter 516CDIs with 163bhp engines and seven-speed G-Tronic automatic transmissions have been delivered. The specification includes Masats double leaf powered sliding entry doors leading to 15 Kiel Ligero seats, with two tables in the rear section of the vehicles. USB ports are provided to all seats. Additionally, EVM Panoramic double-glazed saloon side windows, Alex Original roof-mounted air conditioning and Hanover white LED destination displays have been specified.